Time to turn the clocks back 150 million years, to the Jurassic period, and to let the imagination run totally wild. Theres no danger of getting lost in the ferns with a smiling stegosaurus and valiant velociraptor leading the way. 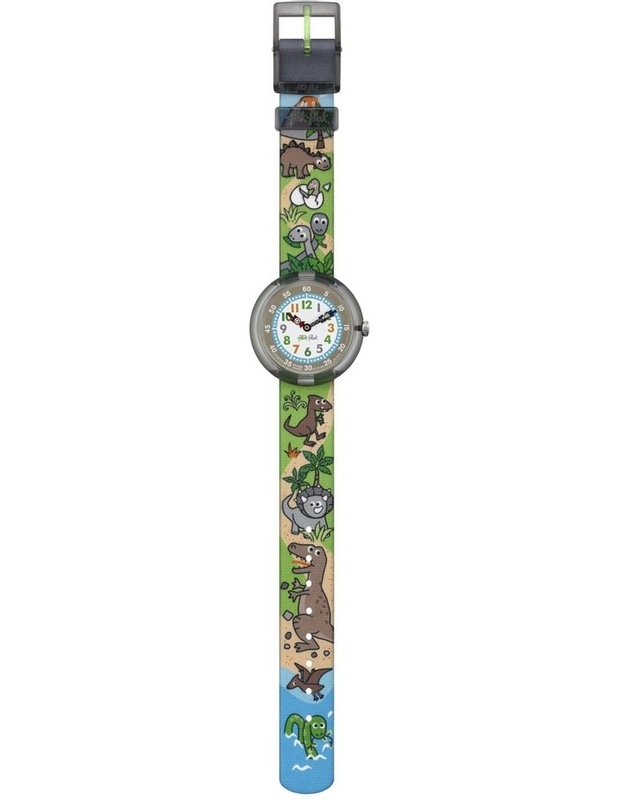 A herd of helpful creatures promises a future of accurate timekeeping and gripping storytelling. Earthy tones and splashes of blue bring the design right up to the minute. 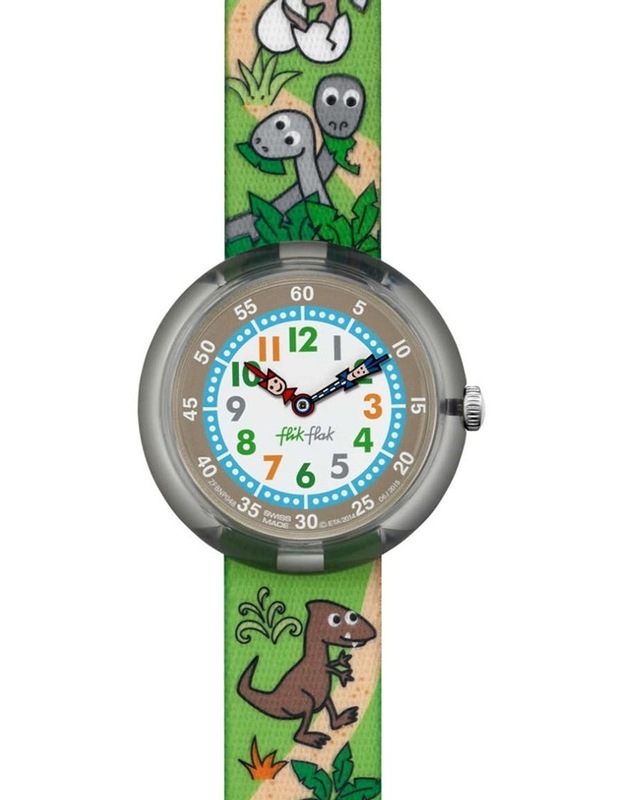 Theres nothing remotely prehistoric about this Swiss made watch for kids.